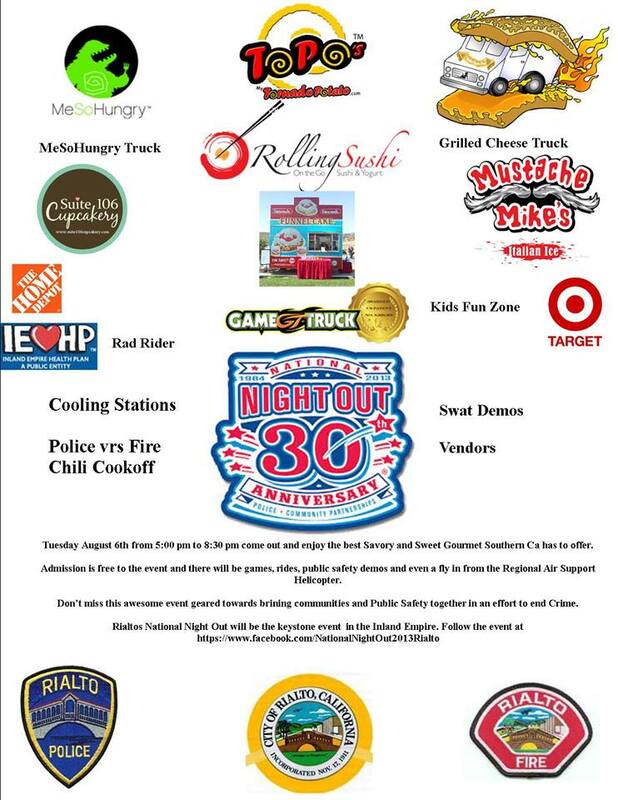 National Night Out is a nation wide program co-sponsored by Target in where neighborhood watch groups come together one night a year with Target representatives, police, fire, school and city officials, to celebrate the concerted effort in fighting crime throughout the year. National Night Out is a wonderful opportunity for our community to promote police-community partnerships, crime prevention, and neighborhood camaraderie. It represents the kind of spirit, energy, and determination that is helping make our neighborhoods safer places throughout the year. It is a night to celebrate safety and crime prevention success and to expand and strengthen our commitment throughout the year. America’s Night Out Against Crime. Free Admission. 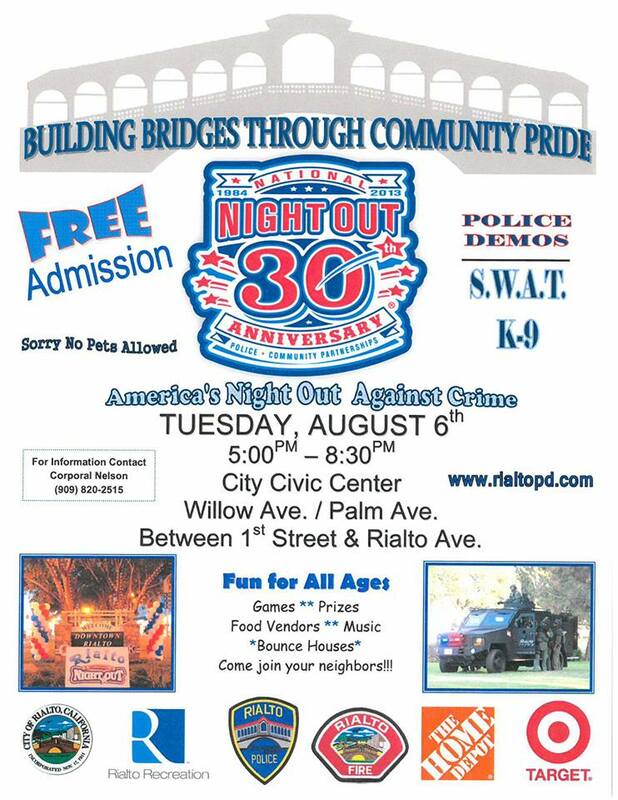 This event takes place Tuesday, August 6 from 5:00 pm to 8:30 pm at the City Civic Center, Willow Ave. / Palm Ave., between 1st Street and Rialto Ave.
For more information, please contact Corporal Nelson at (909) 820-2515.